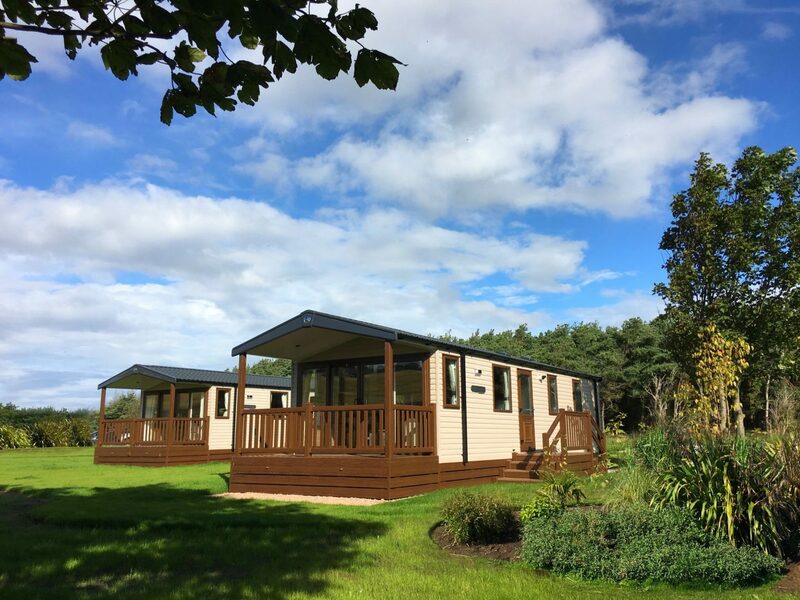 Over the weekend we went to check out the new Castaway (forest) holiday homes that everyone is raving about which are located in the multi-award-winning Elie Holiday Park at Shell Bay. It was a bit of a gamble in my head because the press were shouting everywhere about a yellow weather rain and thunder warning. Was a caravan style holiday a good idea? Also, the podcast launch was fast approaching for Mojo Monday and I was a bag of nerves and excitement. Should I not stay and do some final work prep? On episode one we talk in parts about finding work/life balance and I felt like I needed to get some balance back. My happy place is being by the beach and the thing is, I REALLY needed a break. We all did. We needed to get away from the laptops (more me), DIY and being my general podcast production slave (Hubs has techy skills) and as for the kids – well what kid doesn’t love an exciting adventure somewhere new? That is part of the magic for me, seeing their wee faces light up on arrival. 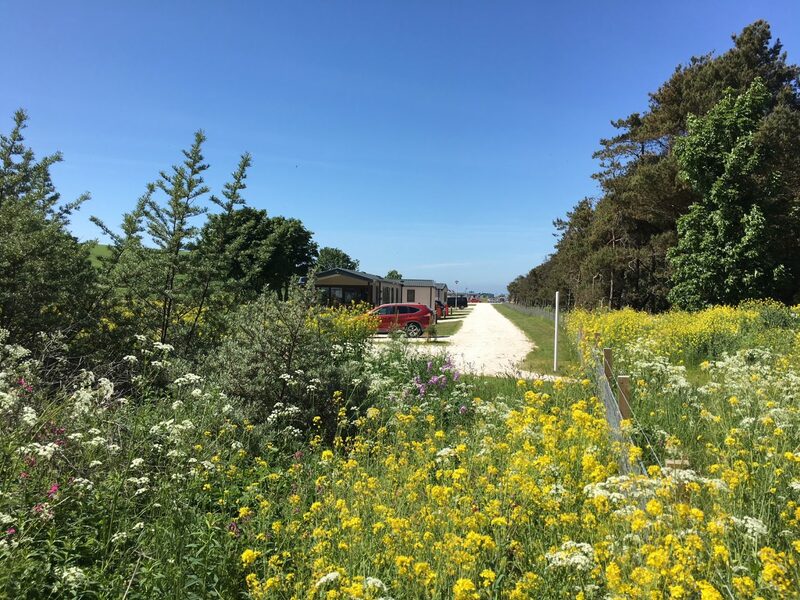 The park was recently awarded Best Family Holiday Park in Scotland runner-up and has also been voted as the Best Visitor Attraction in Fife by Kingdom FM listeners. 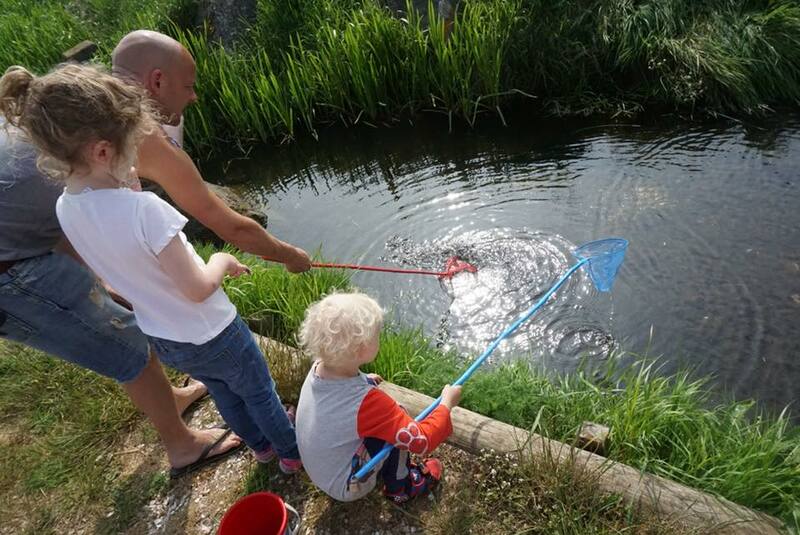 The word on the street is that families have been enjoying holidays here for generations. I started to get a case of serious FOMO (Mum if you are reading that means fear of missing out). Perhaps people wanted to keep it a secret. As we drove off the beaten track into a lovely green forest, the kids started to get really excited. Country life was calling and we spotted an honesty table on the path filled with fresh farm eggs and bread – loving it! Talk about a warm and trusting welcome. I love checking out new spots and making new memories and it only took us just over an hour to get there from Edinburgh. With two young kids I like to think of that as a God send. We have driven past the opening to this holiday park for years, with no idea how fab the facilities and secluded beach are. 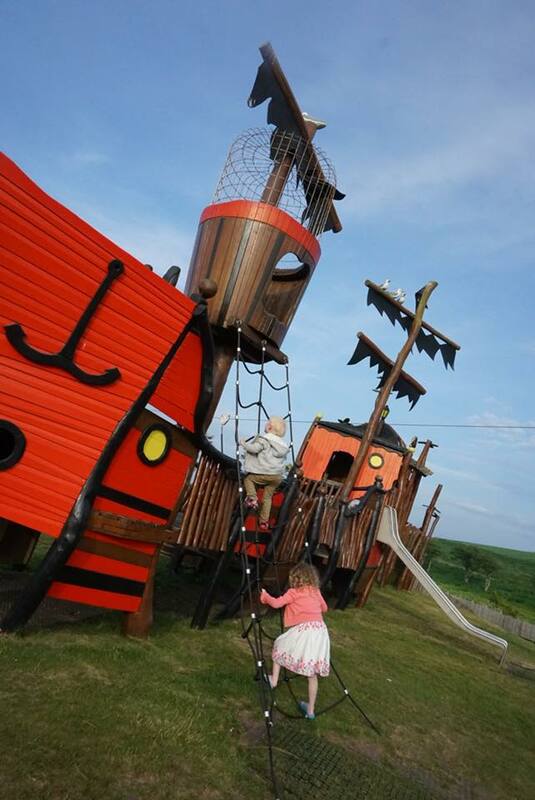 First off – The Robinson Crusoe Adventure Park is fantastic. A huge hit with the kids (ok and adults. I love a flying fox and big “lie down” swing). In fact, I priced one for the garden and let’s just say we are in negotiation. There are loads of lovely outdoor seating spots to sit with a coffee or something even stronger. 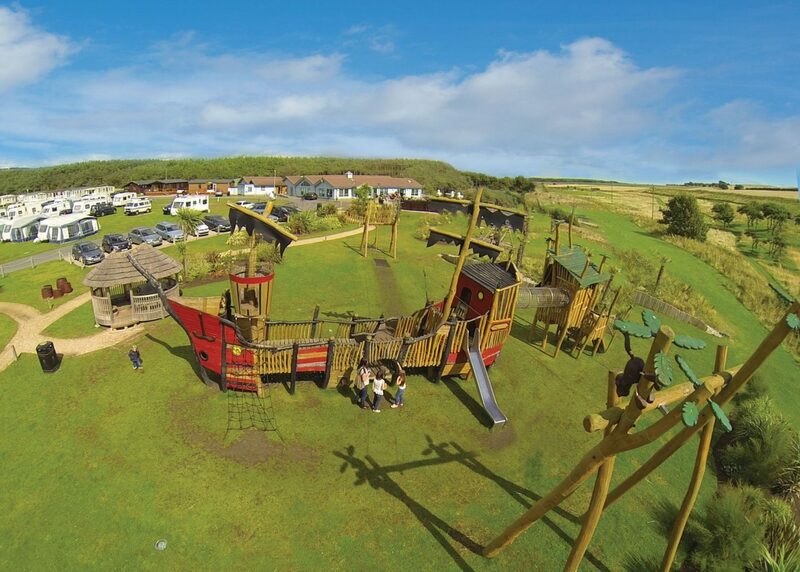 In terms of history – The Robinson Crusoe Adventure Park reflects the area’s connection with the famous Lower Largo sailor, Alexander Selkirk. The impressive galleon is surrounded by palm trees (I love a palm tree) and takes the form of a two-masted sailing ship linked to a fantasy desert island. 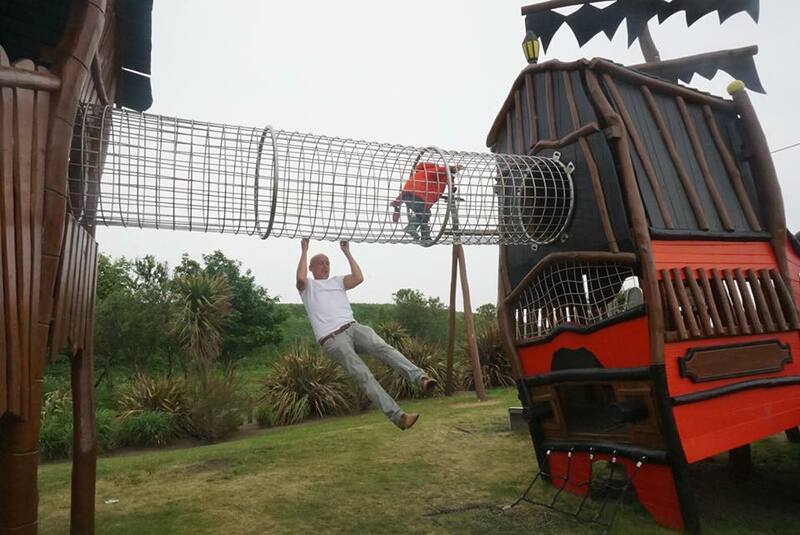 Children can climb the rigging, scale the poop deck and crawl along the cage to the Island of Despair. 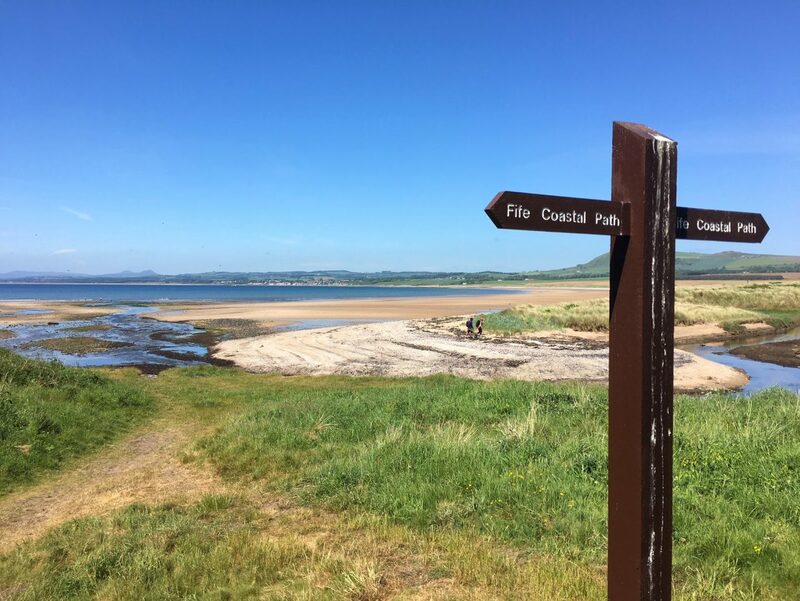 Located close to the Fife Coastal Path at Shell Bay thousands of wannabe castaways have enjoyed reliving the Robinson Crusoe story in this corner of Fife. The park is owned by Abbeyford Leisure and they look after three Fife parks (Elie, St Andrews and St Monans). 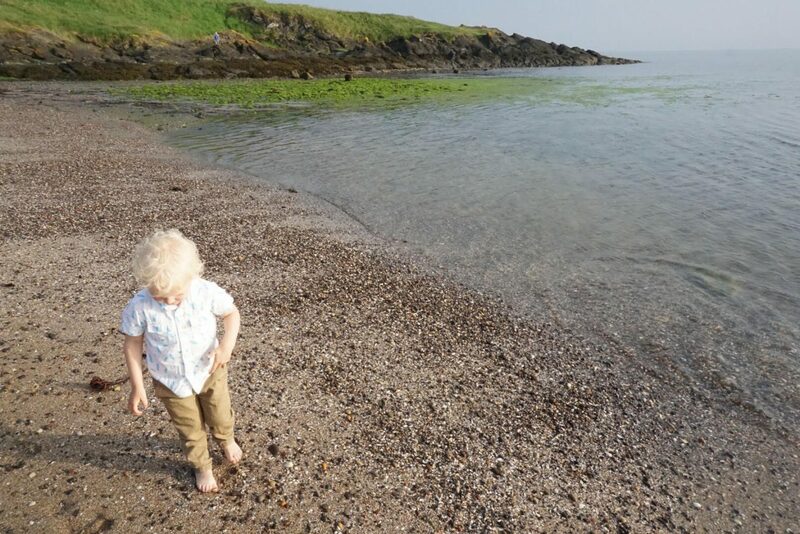 We stayed in the new Castaway holiday homes with super chilled meadow views, which are a short walk from the beach. Hubs was properly shocked when we arrived. For one, he was unsure if we would have a toilet inside or a shower. Our room had an en suite and the shower pressure was bang on. I can confirm, any old school images in our head were wrong. My Mum texted me to say ‘that’s not a caravan, that is a lodge’. Hubs called it a static caravan. I like the term Castaway holiday home though and the general themes of the shells and beach vibes throughout. This is a lovely place to go for an adventure. I would even say it is a great place to go for the day because the park, beach and facilities are great for families. Shell Bay is beautiful. The water is so clear and lovely. 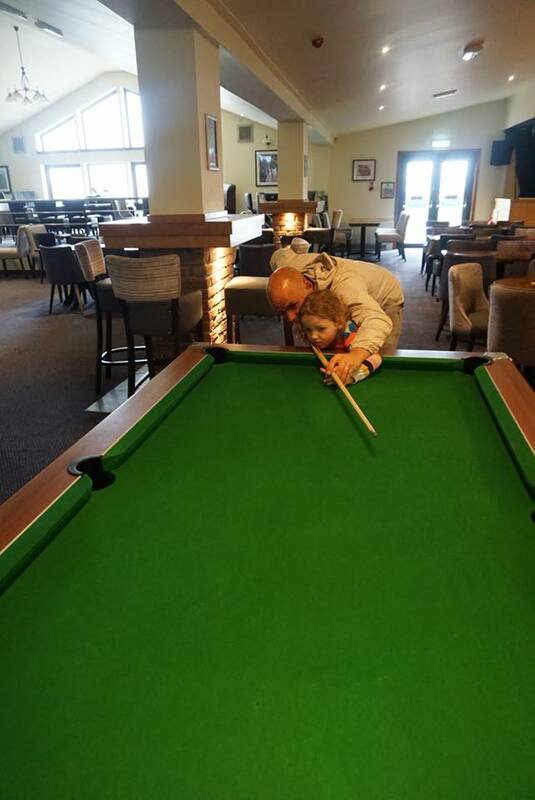 The complex has a spacious family bar with pool tables and a Smugglers’ Cove Games Room. There is also a restaurant (The Kincraig View) which serves lovely home cooked food such as steak pie, salads, fish and chips and lighter options such as pulled pork sandwiches and nachos. I really liked the charming nautical themed Mirador Café serving what they claim to be ‘some of the best barista coffee on the Fife Coastal Path’. I’ll give them some credit as I was buzzing after my cappuccino and the kids were delighted after their Janettas ice cream. Tip – the tablet one is the best in my opinion (and Bonnie’s). Charlie was a fan of the peaches and cream. Daddy missed out as he was having a well deserved nap and enjoying the slow pace of life. 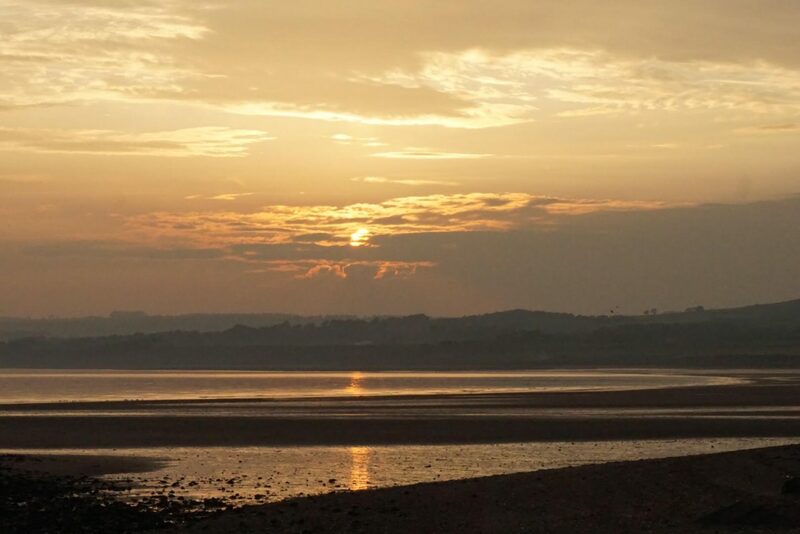 A big highlight for me was watching the sunset on the beach. To me, that is how a perfect day should end. 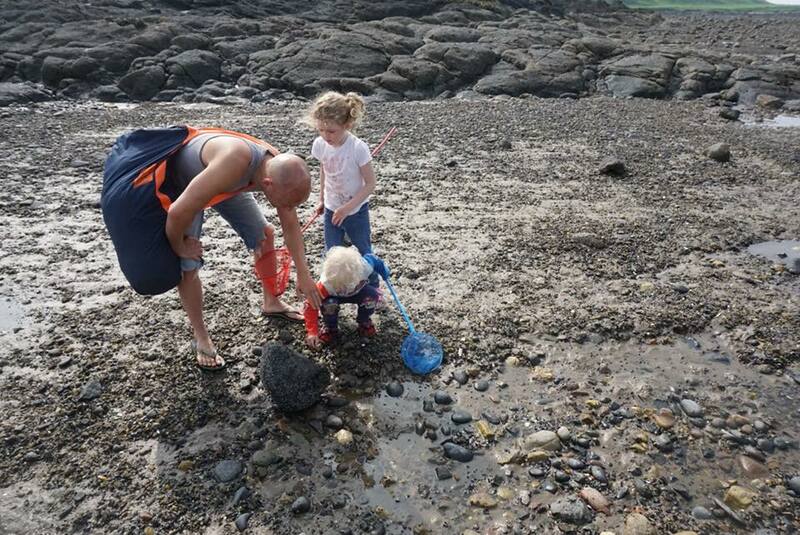 We got chatting to Tom, the lovely GM, who expressed his love of the beach life in all seasons. 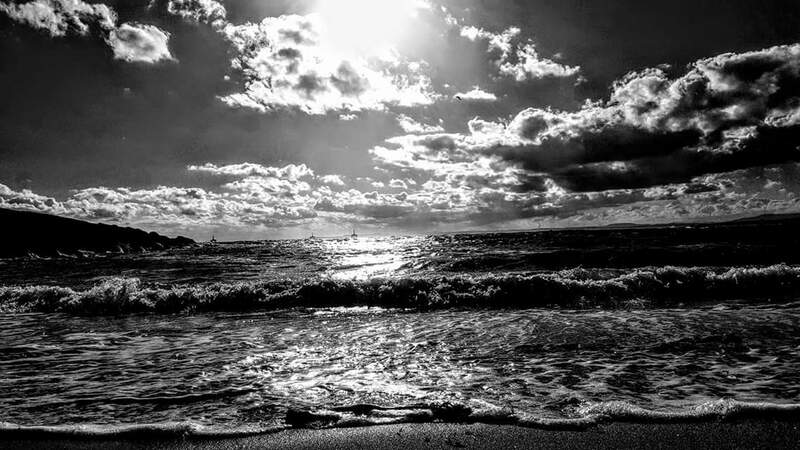 He even shared some of his photography with me and I have to say – WOW. Great job Tom, check out these shots! Thank you so much to the team for inviting us along to review this hidden gem. 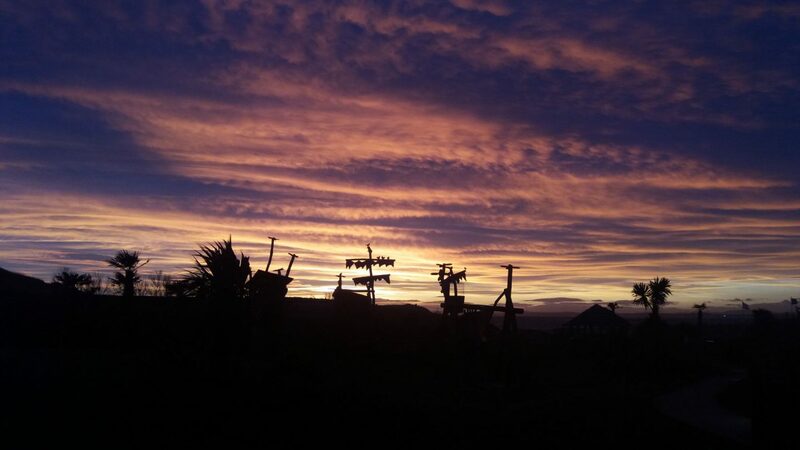 We had a lovely weekend and I think the pictures do the talking. If you would like to go then all details can be found on the website. If you’re quick, you can still book for the summer school holidays. 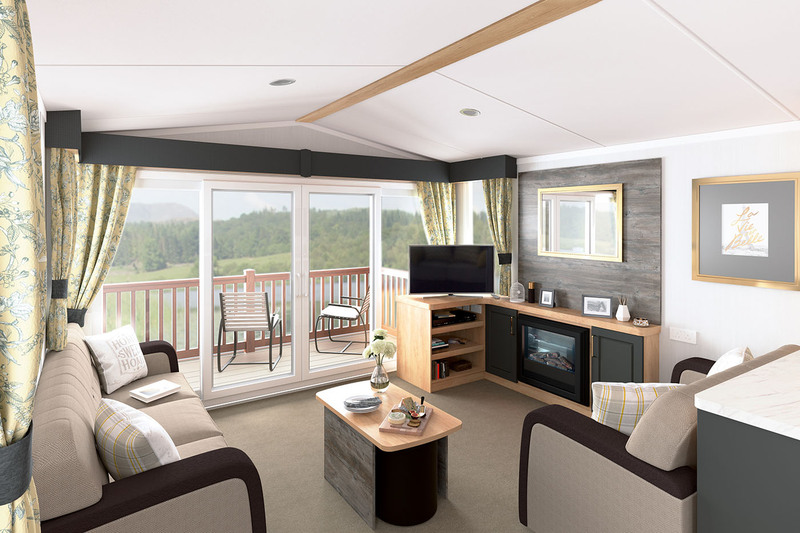 7 nights in a Castaway (beach or forest) holiday home starts from £731 per family. 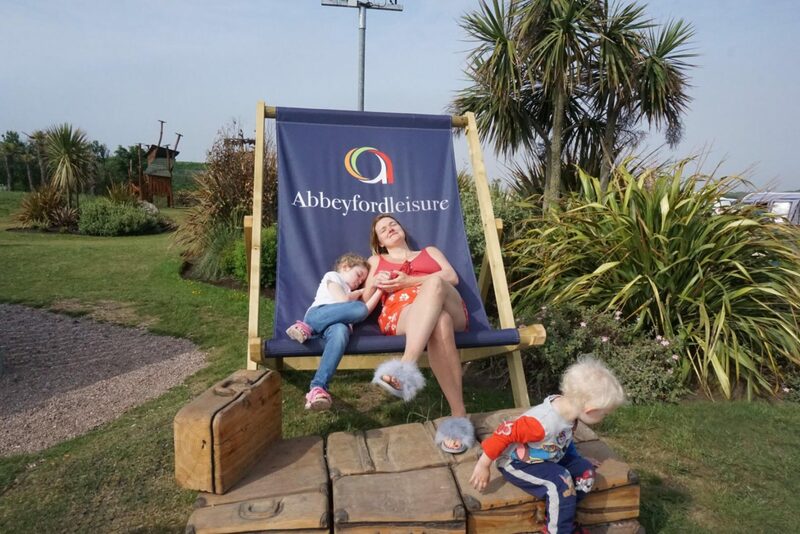 Simply book online at abbeyford.com and choose your holiday home location for free. 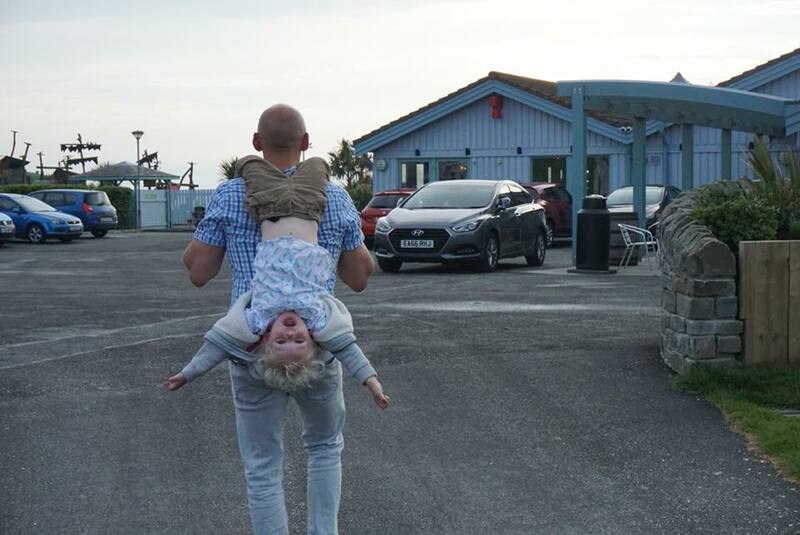 Free cot and high chair hire is available and there are designated dog-friendly holiday homes too, so the whole family can be together. Free dog beds, dog bowls and dog chews provided. There is free evening entertainment and free football coaching sessions (school summer holidays).